Ask us about our special accessories package pricing for $250.00! Unitron Max is a powerful BTE (Behind-The-Ear) hearing aid designed for people with severe to profound hearing loss. Max SP is designed to be used with a custom made earmold. 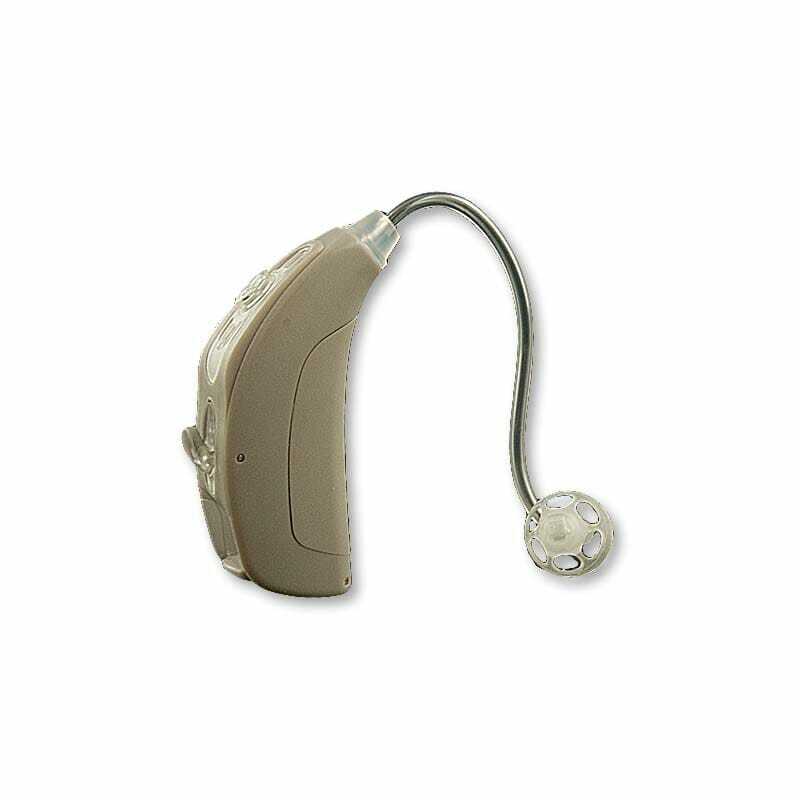 Unitron designed Max to give people with severe to profound loss clear, powerful sound. User controls onboard help manage changing sound environments. Max is water resistant and comes in three performance levels, choose a higher performance level if you expect to be in high noise environments on a regular basis. Submit a current audiogram for a free evaluation of how Max will perform for you.